I've spent the last few weeks gluten free to cure a bout of poorliness and overindulgence. During these weeks I've noticed how hard it is to find decent bread, for a GF novice at least. Another thing I've learnt, is that you really need to plan all meals and snacks in advance. You never know if you'll find something or somewhere suitable when out and about. Now I don't want to be jumping on the trend-wagon on all these fancy diets and whatnot - but I've always preferred making my own bread to buying from the supermarkets. What most people don't realise is that they may just be sensitive to the sugar and additives that our lovely supermarket bread is pumped full of. Even from their in-house bakeries. Although straight from the back of the packet (with some adapting), this recipe is pretty quick and straightforward to follow for any sort of bread maker, from novice to those more experienced. And with no kneading required, less mess. 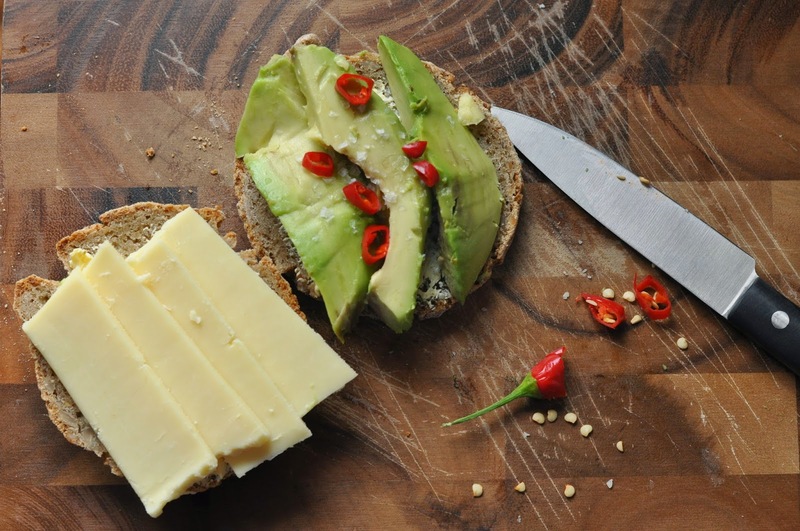 Here's how I've been enjoying mine, under the grill with plenty of cheddar, avocado slices and fresh chilli. 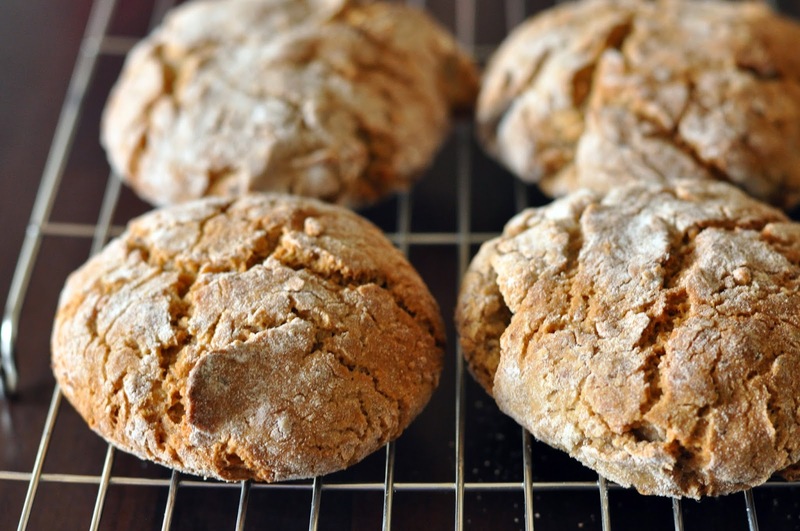 Crusty seeded brown rolls perfect for lunches and to freeze. Mix together the flour, salt, yeast and sugar in a large bowl. In a small bowl beat the milk, vinegar and eggs. Add to the flour mix to form a sticky dough. Continue to add the oil. Gently mix in the seeds. Place the dough in an oiled bowl, cover and leave to rise in a warm place for 1 hour. On a floured surface, shape the dough into a sausage and divide into 6-8 parts. Round these off with your hands and space out on a baking tray. Bake in a preheated oven for 20-25 minutes. When cooked, the crust will be golden and the rolls hollow when tapped. Alternatively, to make a loaf, prove once in a 2lb loaf tin and bake for 40-45 minutes. I'm keen to reintroduce gluten and wheat back into my diet and see how I am...I miss all my favourite treats! It hasn't been a complete misery though. So feel free to send any recommendations my way as I'm looking forward to having a good balance between the two.